Take a 100 lbs box of all-beef trim (meat trimmed by the butcher) and dump it into the Hobart brand meat chopper. Send the beef trim through the meat chopper set for a coarse grind. Now lovingly hand season the now coarsely ground beef with our special blend of spices. Now take the beef and carefully return it to the meat chopper, season it again, then put the stainless steel horn on the meat chopper. The casings which had been washed, rinsed and soaking in clear water, are hand pushed onto the horn next. With one hand pushing the seasoned beef down the opening and the other hand holding the casings in place guide the long ropes of beef links spitting out at a fast pace into the container place below the horn. When the container is full place in the refrigerator until needed. 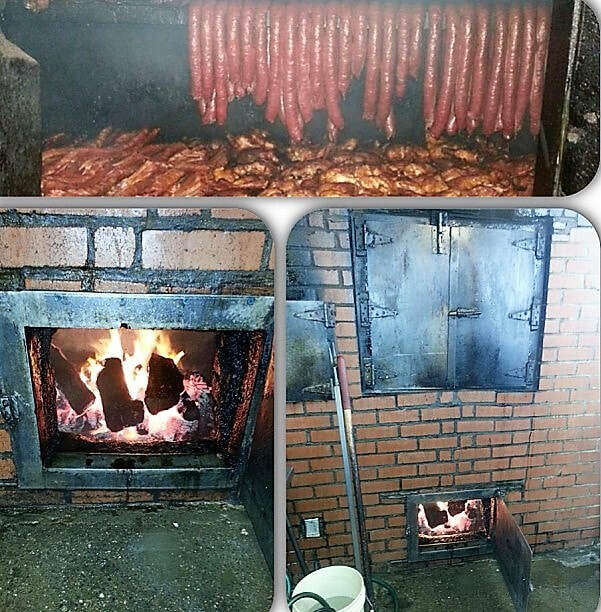 Our homemade beef links are hung across the top of the vertical built brick pit with pork ribs and beef briskets placed below the links. 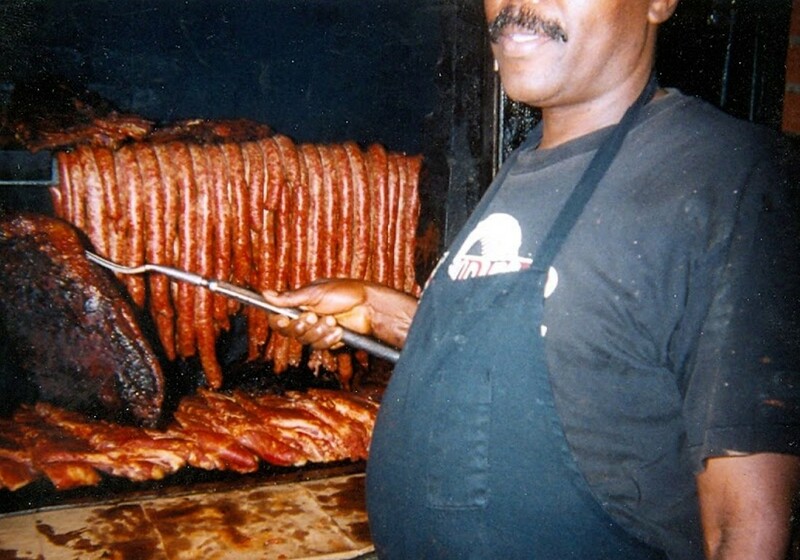 Over the next 4 hours a delicate dance begins the skilled pitmaster takes a cup of fresh clear water from a 5 gallons bucket that sits on the floor by the pit and douses the flames. 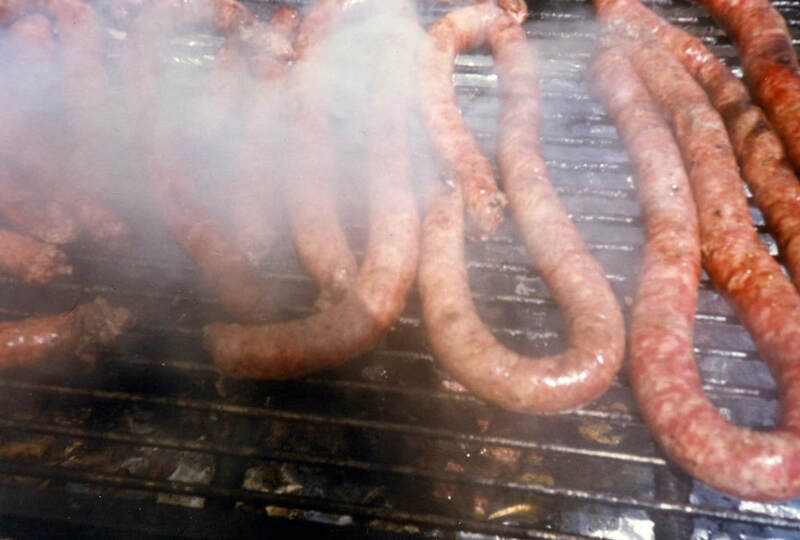 The smoke created by the water releases the seasoned and stored flavors hidden inside the walls of the brick pit; sending up smoke with layers of flavor mixed with the beef links’ drippings. The smoke then surrounds all the meat cooking inside the pit. 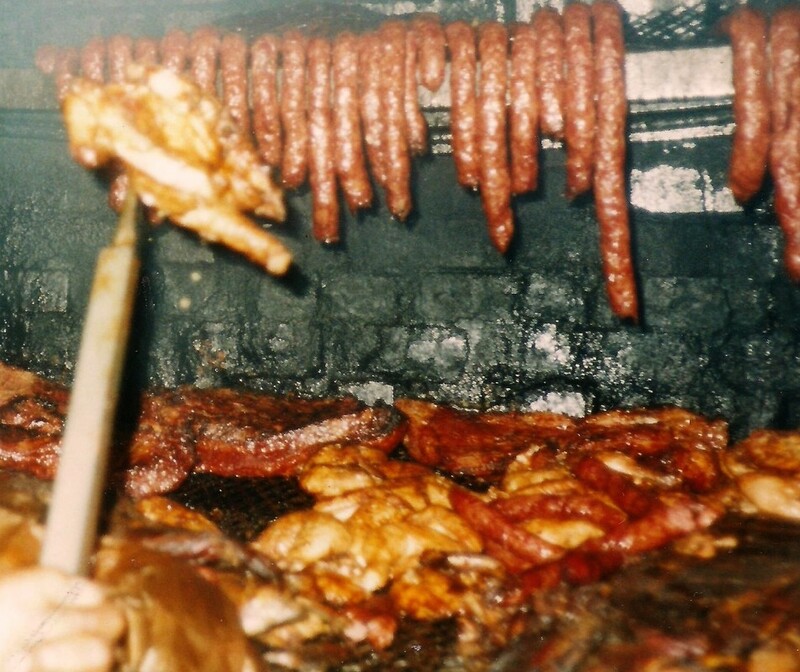 This smokin’ process infuses the meat with our unique and delicious flavor; afterwards the smoke travels up the brick chimney sending irresistible smoke signals throughout the neighborhood.